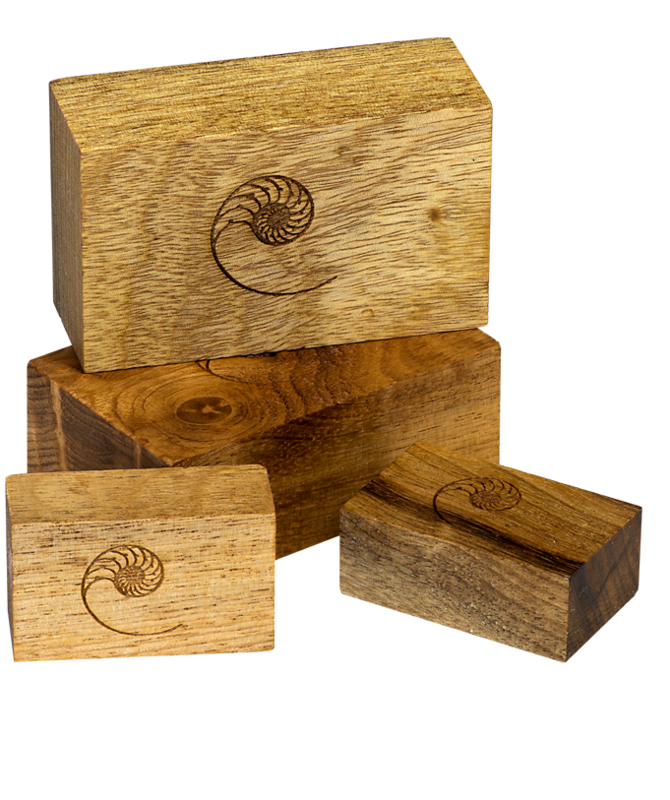 Cardas Golden Cuboids are made from America's most beautiful hardwood, the legendary Myrtle tree. Laser engraved with the Cardas logo. Rarest of all woods, this symmetrical, broadleaf, evergreen Myrtle grows only in Southwestern Oregon's Coos and Curry counties. Myrtlewood has a very complex grain structure. The coloring of the wood is unique, varying from a sedate, satiny gray to riotously, multicolored grains of red, yellow, and brown, with many burls and shapes in its grain. Denser than Oak, unseasoned Myrtle logs will not float. 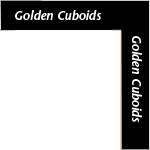 Golden Cuboids are available in two sizes .618" x 1" x 1.618" and 1" x 1.618" x 2.618". Cardas Golden Cubiods can be used as equipment footers, to isolate gear, and to create more space between equipment.